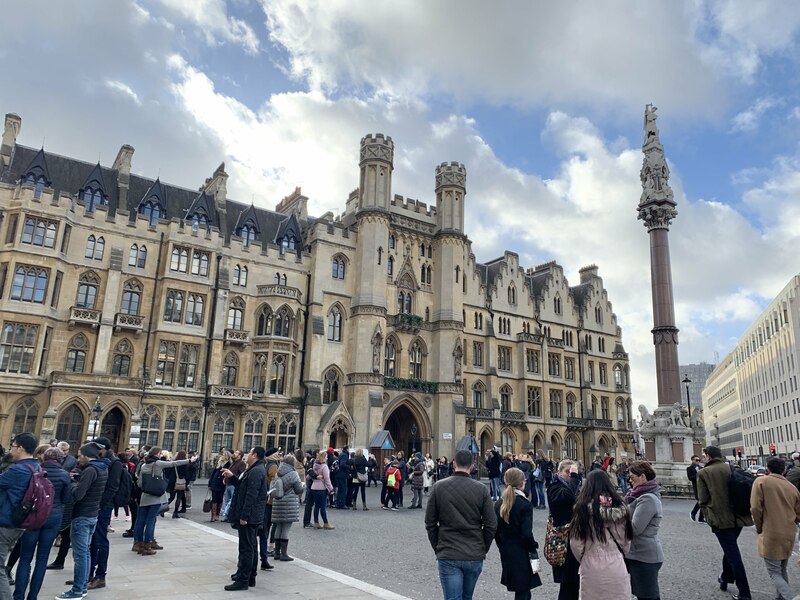 At the end of November, I was invited to be a speaker at a cross-governmental event in London. I was able to take a Volunteering Day at work for me to help out at this event – thanks BT! Grow from your STEM aimed to encourage young girls into taking STEM subjects at GCSE, A Levels, and degree level and educate them on the incredible female change-makers in history. There were also a number of workshops that aimed to help with building confidence and interest in various STEM topics. 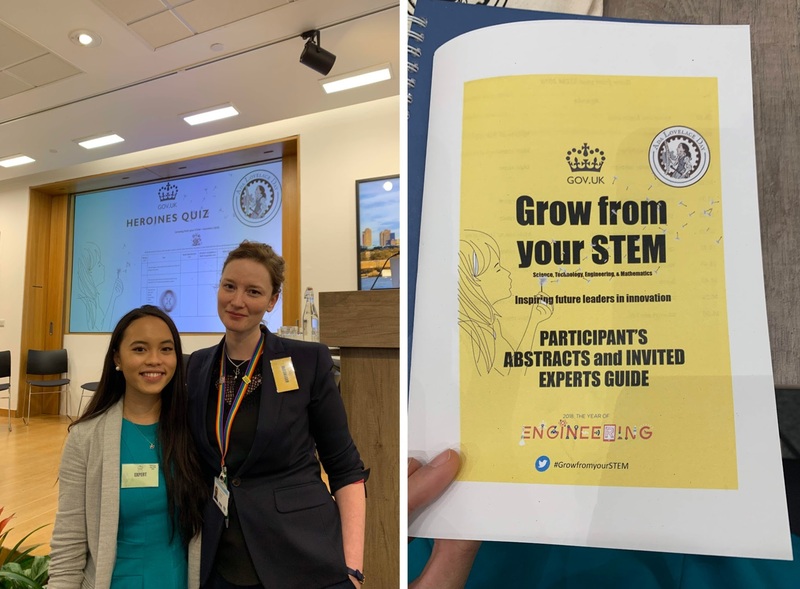 The event welcomed 145 young female students from schools across London with speakers and volunteers all from different STEM backgrounds. I was involved in Speed Networking where I spoke to different groups about my journey into my current role describing my experience from school to university. I also answered the girls’ questions around confidence, the future of tech, day-to-day working life and more! It was fantastic to see that they were really engaged throughout. In addition to the Speed Networking section of the day, I was part of the Expert Q+A panel. It was such an honor to speak alongside some truly inspiring women who are building some incredible careers in all aspects of Science, Tech, Engineering, and Maths. The main discussion points were around confidence, imposter syndrome, fighting stereotypes and persisting through difficult times. The room lit up when we spoke about overcoming our struggles and admitting we went through them which is something that sometimes is overlooked in these events. Highlighting the positives and benefits of a career in STEM are important (there’s a long list, trust me! ), but it isn’t a rosy, linear journey; there will be some times where you question the path you have taken from the number of challenging situations you may find yourself in. But as one of the panelist said, if it weren’t for the screw-ups, she wouldn’t have learned and carved the incredible place she is in now. It is about how you react to them that determines the next chapters of your journey! I’m sure that the event inspired the girls into the various career pathways that they can take, but I have to say that the event inspired and encouraged me to keep going in my own career. My imposter syndrome has been going crazy especially recently, but this event helped me so much! We all sometimes need that reminder especially when things can get challenging. I also learned a lot about the powerful women in history, some of which I admittedly hadn’t heard of. This further shows the impact of talking about these role models at a young age in what can be done. I know that if I had attended a similar event when I was younger, my perceptions of career pathways would’ve been so different and perhaps, I would’ve felt much more confident trying to pursue a career in technology instead of sidetracking to the other science: Biology. Grow from your STEM made me become increasingly more grateful for the path that I have taken. Even though I learned that Biology wasn’t the right STEM path for me, I’m happy that I completed my degree in Biomedical Sciences because it gave me transferable skills (e.g. problem solving, analytical skills) that are extremely valuable in any industry. It’s been a fantastic learning curve and self-development journey even if today, I’m not necessarily talking about cell-to-cell-interactions day in day out! A huge thank you to Siobhan and Victoria for organising this event and for reaching out to me, it was a massive honor! I say this all the time, but I truly believe it, the future is so exciting. I spoke to so many of the future leaders of STEM in that conference room that day which is incredibly exciting. If you’re interested in a career in STEM, check out my BBC Bitsize profile on being my day-to-day in technology. Girl, you’re something. You’re so young and you’re already a motivational speaker. Nice to know groups and orgs that are into promoting positive outlook on young women. Thank you so much Mercy, you’re too kind! I really like the concept of Grow from your STEM! As a teenager, I didn’t really think I had lots of career options since many fields are considered to be dominated by men. It’s so nice that you’re introducing this to young girls to help them realize that there *are* options for them and that they shouldn’t shy away from these fields! 🙂 I was really fascinated by the career map – I was surprised to see Economics and Finance/Accounting there since I didn’t really consider these as STEM degrees! So does that mean I’m actually a STEM degree holder? Wow! It honestly is such a privilege to be able to help younger girls with their careers – I think I found another passion! 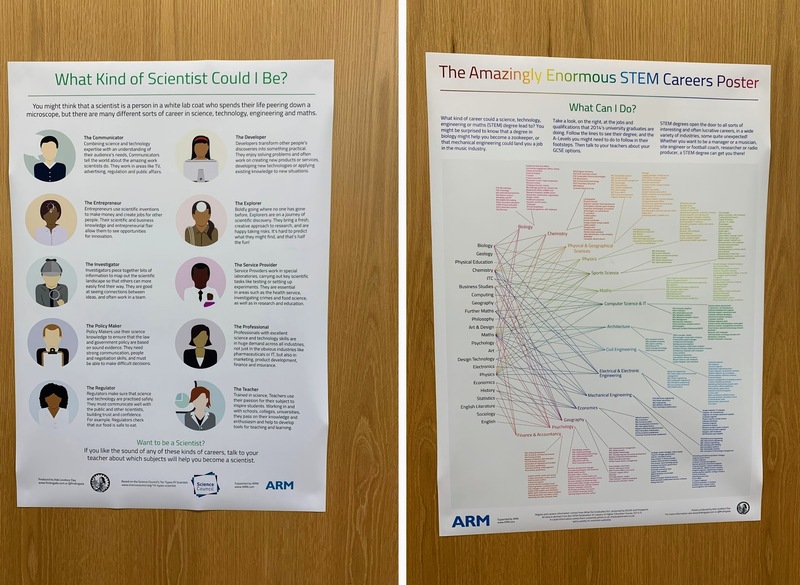 It’s so great that these organizations and events are happening all over in your area, and you’re able to take such an active role in facilitating the conversations to bring more girls into STEM! I’m pretty sure none of these kinds of things existed when I was in high school, and I was never encouraged to go into tech or the sciences, even though I was in all the same Gifted in Talented/College Level (AP) classes as my male classmates (who, of course, DID go into STEM in college). I think we’ll never fully get out of our imposter syndromes, but little by little, I hope the next generation of girls will find a world where that’s not the default. PAULINE! This sounds like a wonderful experience. I’m so proud of you and everything you’ve accomplished thus far. Keep reaching for the stars and keep walking the walk!